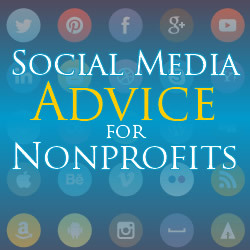 Creating a social media campaign for a non-profit organization can be a daunting task. As a twenty-five year fundraising veteran, I am all too familiar with the challenges that face those who have to develop and launch a social media campaign that will generate new donors and consistent funds being raised. It is key to develop a strategy prior to launching one’s social media tactics. This is a common mistake that is made not only with fundraising committees, but in businesses around the world. From my experience, any successful fundraising campaign is built upon strong and committed staff and/or volunteers. Your best staff and/or volunteers should be financially committed to the project. Without them putting some skin into the game personally, they will struggle to get others to donate. Eighty-five percent of your donations will occur because of “Social proofing”, which means others will donate when they see your board members and volunteers fully commit themselves financially. Your campaign must be built on a clear-cut purpose that is easy to communicate, as well as inspiring to people. Donors want to see a campaign that is bold, heart-felt and has shown demonstrable success in positively affecting the lives of others. When the purpose and message are clear, you can not only generate more donations, but they in turn will advocate that others get active and donate as well. They will become your “brand ambassadors” for your ongoing social media efforts. Whether you fundraising online or in person, these are some general rules that will help you reach your fundraising goals easier and faster. Set Realistic Fundraising Goals – It is important that you establish a pyramid or donors. In other words, you will have to establish how 90% of your funds will be donated by 10% of those who donate. And this is a liberal amount. You may find that 95% of your funds will come from 5% of those who donate. If you have to raise $100,000, then you will find that $85-90,000 of that will come from about twenty to thirty individuals or families. I suggest that you read the book “Asking” by Jerold Panas on how to plan this donor pyramid competently. Do Not Set Low Minimums – I suggest that you make your minimum donation at $25, not $10. This alone will 2.5X your funds raised, if all you did was procure minimum donations from your efforts. Have Active Donators Set Appointments With Others – Social networking should not be limited to electronic means. Let’s set in-person interviews with those who have compassion for making the world a better place. As the saying goes, “Birds of a feather flock together.” Have your best donators network with their friends, family and business contacts to get them involved with your project in a big way. Leverage “Matching Grants” To Inspire Additional & Bigger Donations – When you have someone that is willing to donate a significant amount of funds to your project, leverage that donation to create even more by the use of “matching grants.” If I had a board member who was willing to donate $1,000.00 to the project, I would have everyone email and communicate across their social media channels that we are looking to generate matching funds. Have the key donator tell their story that they match funds, by seeing more people and funds involved in this project. Ten individuals could donate $100 to then make that original gift of $1,000 come though. Those Who Donate Will Donate Again – Be sure to profusely thank those who have donated. Ensure that they are thanked multiple times and in various manners. Additionally, by awarding people some type of status, you can then tell them what they can donate to reach their next status. By thanking people and by develop levels of statuses, you will see that those who donate will donate again and again. Now let’s get down to the actual tactics of utilizing social media for fundraising. Assuming that you have a great team of dedicated staff and/or volunteers, as well as a bold and successful program that clearly communicates its purpose and success, you are now ready to launch with your social media tactics. Develop Engaging Content: The Key To Social Media Success – Most social media campaigns fail because fundraising committees do not realize that social media is simply communication channel, not the content of the communication itself. You have to forward something worthwhile. You need to tell, in many ways, compelling stories. This is the heart is social media success. It is crucial to feature photos of those touched with your campaign, videos of the campaign in action, successes of the program, testimonials from other donors on why they gave, FAQs, and other vital content that will go viral and be worthy of sharing and re-sharing. Without great content curated and shared, your social media efforts will struggle. Utilize Email As Your Backbone Channel – Email is now over 40 years old and is used by Baby Boomers and Generation X much more than social media. Send out regular email communications, particularly featuring your best content and the testimonials of those who have recently donated. Use Multiple Social Channels – Blackbaud, a software developer for non-profits, found in a 2012 study that optimism levels dropped from 62% to 44% in Australia when nonprofits used fewer than five fundraising methods. On the flipside, optimism rose from 73% to 86% in New Zealand when more than five channels were used. Vary Your Calls-To-Action – You will need to communicate your project with varied appeals. People will only donate based on what appeals to them. Look for the different angles and nuances within your stories. Feature these unique aspects and you will see each one helping you to touch and motivate a broader base of potential donors. Have a Facebook Fan Page – This is simple to do and I am sure that you can procure a volunteer to build one for you. As well, look to Facebook ads to drive traffic and develop new followers to your fan page. Ensure that you post at least 2-3 times per day with interesting content. This will show proof that you are impacting the world and achieving your stated goal. Develop Your Own Unique #Hashtag For Your Campaign – When utilizing Twitter, Google+, Instagram, and now Facebook, promoting your own hashtag can be a key moniker for your campaign. Develop a hashtag that truly embodies the spirit and purpose of your campaign. Hashtags can become a vital part of your branding, as well as your donors following your posts, as well as followers to connect with each other as a community. As a fundraiser, you play a vibrant important role for your community and to those that you touch. By learning how to develop an effective social media strategy, you will be able to impact even more lives. Good luck and God’s speed!